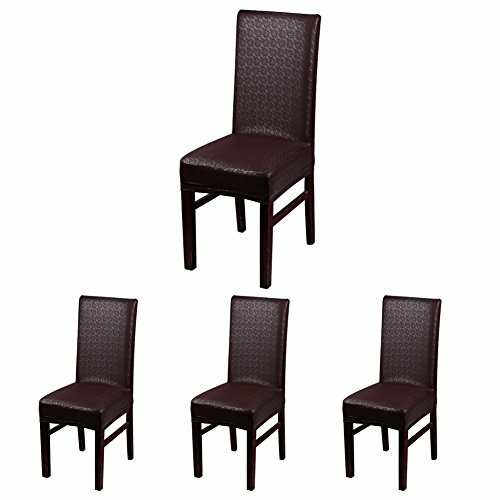 Super fit stretch splipcovers,apply to restaurant regular chair. Simple and stylish design, high grade quality, classical and elegant color make this chair cover be a good choice for the decoration and protection of family dining room, restaurant and wedding chairs. High grade quality, give you a long-lasting durability and easy maintenance. Soft,comfortable, waterproof and oilproof ,no ironing required. Universal slipcovers can be used to suit the chair : Seat width/length: 38-48cm(14.96"-18.9");Back height:45-60cm(17.72"-23.62"); Back width:38-48cm(14.96"-18.9"). Applicable: Hotel,wedding banquet,meeting,celebration,ceremony, family dining room decoration, etc. If you have any questions about this product by CosyVie, contact us by completing and submitting the form below. If you are looking for a specif part number, please include it with your message.